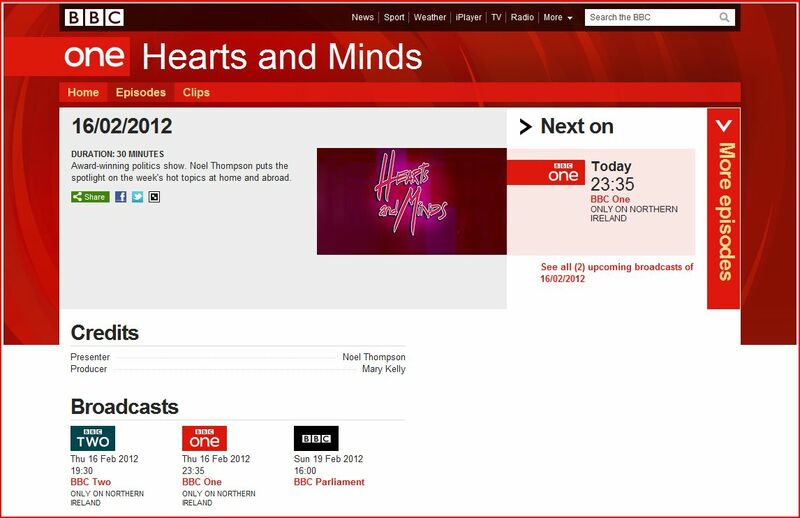 The Education Minister, John O’Dowd appeared on BBCNI’s Hearts & Minds programme on Thursday 16th February, 2012. He tried to defend his unpopular position opposing academic selection but failed to answer Noel Thompson’s charge that he had been defeated by parents. He fell into the usual technique of parrotting the civil servants line of schools with academic excellence not academic selection. Unfortunately he choose St Dominic’s Girls Grammar School and St Rose’s Comprehensive as exemplars. Why doesn’t the Education Minister focus his attention on improving numeracy and literacy teaching in primary schools instead of talking about his useless statutory Entitlement Framework?